Did you know you probably have enough money to invest in real estate today? There is so much noise with news, media, and late night infomercials all talking about “Real Estate Investing” and that information is almost always diluted in an effort to sell you something. Well, today, in an effort to educate people without selling courses or holding information hostage, I am going to share with you one of the perks of investing in real estate and dispel the myth that real estate investing is only for the rich. You might be thinking, “Hold on! I don’t have $100,000 to buy a home as a real estate investment.” Keep reading, I don’t have the much money either, but I still bought my first investment property at the age of 19. For the sake of this article, let's assume you have $10,000 you are looking to invest. Would You Lend Me $10,000 to Go Gamble In Vegas? No!? Why not? Well if I were you, I wouldn't lend anyone any money to go gamble with either because it’s not safe and there is no guarantee I would get it back. This is exactly why a bank would never lend a person money to go gamble in Vegas or investing in today’s hot stocks, because there is no guarantee that the money they were lending would be safe. That makes sense right? What this means to you is that if you want to go gamble in Vegas or invest in some stock you need to save up however much you wanted to gamble with or buy stocks with. This means if you want to invest $10,000 in today’s hot stock it would cost you $10,000. Great, So What Does This Have To Do With Real Estate? Smart question! If the real estate market was like the stock market or the casinos you would need all cash to invest in it. The trouble with this is that the price of entry for real estate is so much higher than the stock market. If the real estate market operated like the stock market you would need to save up $100,000 to buy a $100,000 home. That’s a lot of money! Fortunately things don’t work like this. Banks look at real estate very differently than they do stocks, bonds, and mutual funds. Banks are in the business of lending money to you so you can buy a house. How much are they willing to lend you? Usually 70-90% of the cost of a home [in some cases as much as 96.5%]. If you’re wondering why they would lend you money to buy a home but not to buy 500 shares of today’s hot stock or to play the slot machines it’s because the bank has something called “collateral”. Collateral means the bank has the security of the house which makes them feel safer lending you the money. This loan is called a mortgage. Specifically, a mortgage is a loan that a bank issues to someone buying a home and they get piece of mind lending you this money because the house is a security for their loan to you. How many investments have you heard of that you can barrow most of the money needed for it? Not many. In fact, hardly any. This is just one reason why real estate investing costs so much less than most people think. Conclusion: If you had $10,000 you wanted to invest you could either buy $10,000 worth of stocks or for the same amount you could put a down payment to buy and control an investment piece of real estate worth as much as $100,000. Starting to sound less and less like a pipe dream, right? It’s easier and less expense than you might think. Much more to come, but if you have any questions in the mean time, leave me a question in the comments! 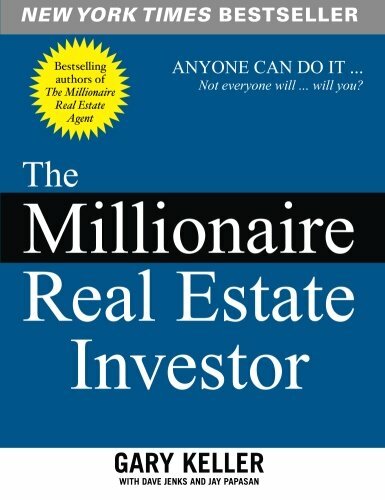 Aside from this book having been on the New York Times bestsellers list for over six years it is responsible for me becoming a real estate investor before my 20th birthday. It has changed the way I look at money, investing, freedom, and time and all for the price of a Starbucks coffee. 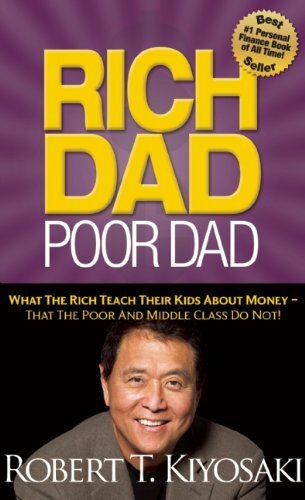 This is the book I recommend if you want to get the nuts and the bolts of how you can invest in real estate, earn freedom from your job, and have security for yourself and family.